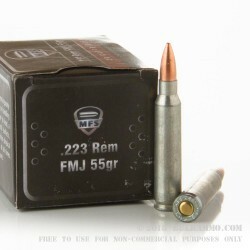 MFS or Matra Provincial Metal Works .223 ammunition is loaded with a 55-grain full metal jacket projectile, in a zinc plated steel case. 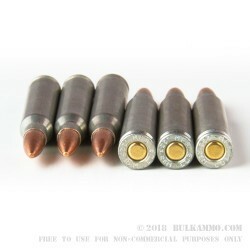 The zinc plating is to ensure for better feeding over regular steel case ammunition and less wear and tear on extractors. 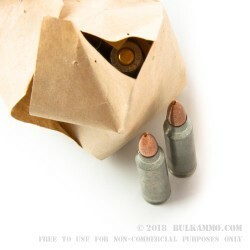 These boxer-primed, noncorrosive rounds are capable of a muzzle velocity of 3130 FPS and are a great ammunition for target practice and plinking. 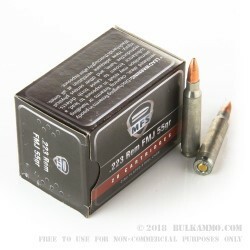 As an incredibly affordable, high performing alternative to brass .223, MFS is also a great ammunition to stockpile. Each box contains 20 rounds of .223 ammo by MFS. Hungarian made MFS began making ammunition in the late 1950s for civilian applications. In 2009, they were purchased by the RUAG Ammotech, a Swiss company, which also produces Geco, RWS and DAG ammunition and is known for quality products for shooting sports.